construction the crane is extremely stable and easy to assemble. 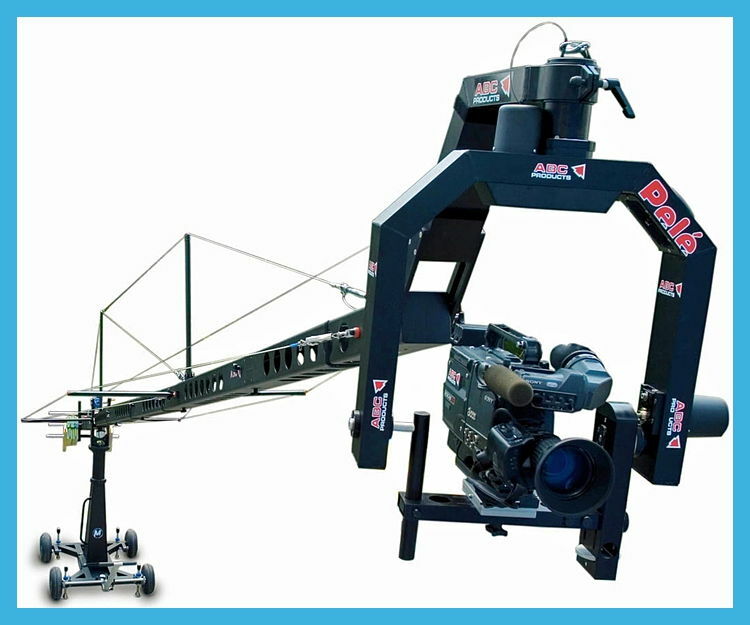 The crane is designed to easily support an ABC Remote-Head (optionally available) with a professional camera mounted on it permitting extremely smooth shots in studio or in the open. – The Star, not only behind the Goal! For 10 years now, ABC Products cranes are used for broadcasting the football worldcup and are thus well established pieces of equipment of the World and European Championships. Once more at the world cup in Brazil in 2014: 27 ABC Products Crane 120 9m with Remote Head Pelé are on the order list. In each stadium, three cranes will be positioned – two beyond the goals and one in the coaching zone. High weight capacity of 25kg (55.11 lb) Light construction with square profiles 12 x 12 cm (4.72 inch), provides extreme rigidity!